Generate power day and night with the Coleman 400 Watt 12 Volt Wind Turbine. This versatile wind turbine charges 12 Volt battery banks to help run your appliances and electronics. Ideal for cabins, 12 Volt battery charging, remote power, back-up power and more, this unit is made with carbon fibre composite blades to ensure low wind noise. 30' tower kit included for easy installation! The 1W, 12V solar power sports battery maintainer offers an ideal way to maintain the batteries of cars, SUVs, boats, tractors and more! This unit is completely maintenance free and easy to install. Made with durable ABS plastic and amorphous solar cells, this solar panel charges in all daylight conditions, even on cloudy days! The kit includes: solar panel with 8ft. (2.4m) of wire, 8ft. (2.4m) of extra wire, battery clamps, and o ring connector and fuse. Dont limit the time of your game play based on the life of batteries. Step up to a more reliable power source. The universal AC Adapter is specifically designed to help save on batteries and provide uninterrupted game time play. The 12-volt adapter, with its universal plug and single jack, can provide power to most generic AC-adaptable games and toys as well. The Nature Power 22-Watt Solar Battery Charger with 8 Amp Charge Controller Kit takes the sun's energy and turns it into electric current. This solar panel is lightweight and versatile and can be used with any rechargeable 12-Volt battery to provide a portable power solution for keeping your RV, golf cart, camper, boat and any other application where charging is needed. The solar charge controller keeps your batteries from being overcharged. High quality amorphous solar material will work in all light conditions even on overcast days. Completely weatherproofed this solar panel can be installed outdoors permanently. Mounting hardware is included. Nature Power solar panels feature a sturdy aluminum frame and toughened glass top and are safe for temperatures ranging from -400F to 1750F. 11 ft. of cabling lets you place the solar panel in the best position to receive sunlight. Use two or more solar panels for even faster charging of your rechargeable 12-Volt batteries. 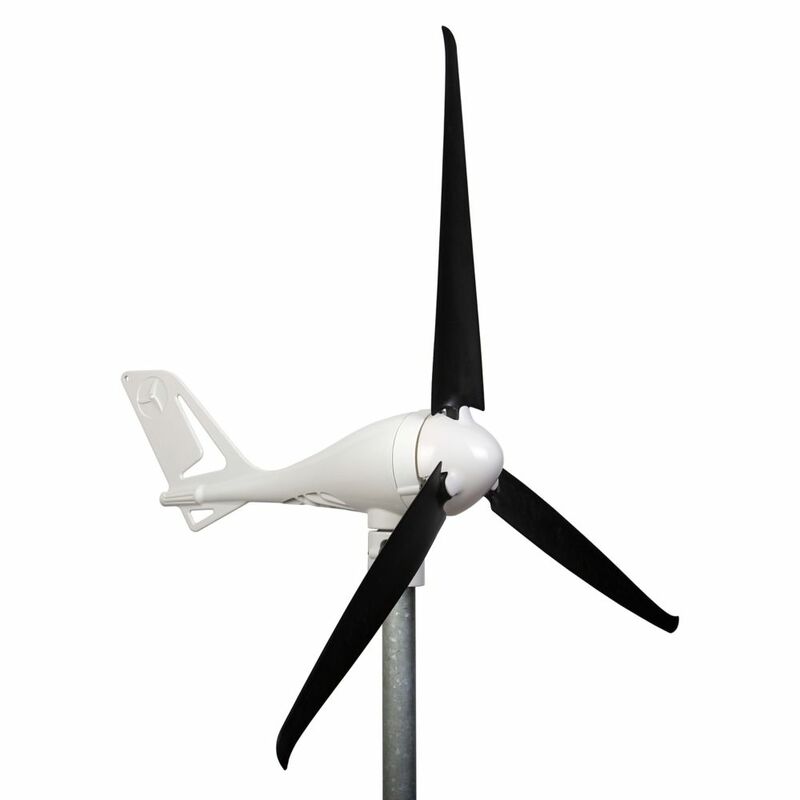 400-Watt 12 Volt Wind Turbine with 30' Tower Kit Generate power day and night with the Coleman 400 Watt 12 Volt Wind Turbine. This versatile wind turbine charges 12 Volt battery banks to help run your appliances and electronics. Ideal for cabins, 12 Volt battery charging, remote power, back-up power and more, this unit is made with carbon fibre composite blades to ensure low wind noise. 30' tower kit included for easy installation!